"I've been a vet for 40 years, and what has kept me here is my love for animals, all animals, and watching that wonderful, strong human - animal bond we see every day of our lives." Northern Beaches Vet Hospital are amazing. My fur babies have been seeing Dave and his team for 6 years! Would love to see them recognised for their hard work! 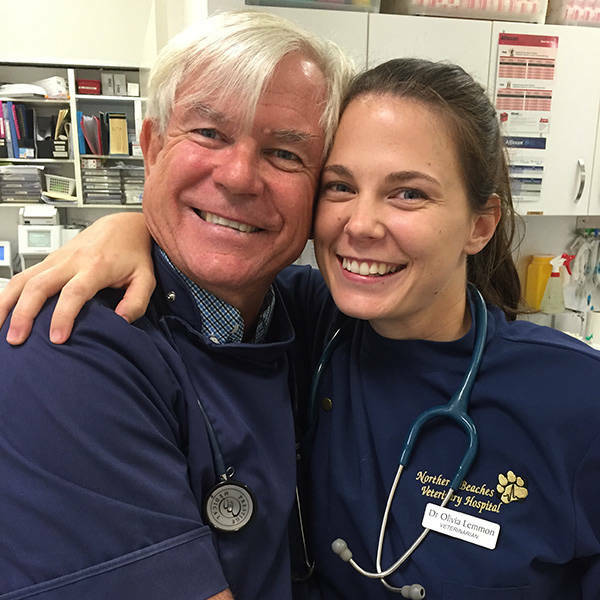 Dave and now his daughter live and the northern beaches staff have been our family vet for over three generations. We are so proud of them and wish them all the luck in the world to become the next bindi vet. How do you handle yourself if you're faced with an aggressive cat or dog? What is an interesting surgery that you guys have done together that would make for good TV? These guys are the best! The best combination of knowledge and personality. Excellent advise, service and compassion. They will make a fantastic choice for the next Bondi Vet! I would love to see this awesome combo on screen. Dr. Dave has been our family vet for over 20 years. They have provided so much care to all our furry family members. Great relaxed knowledge even kissed my horse better !